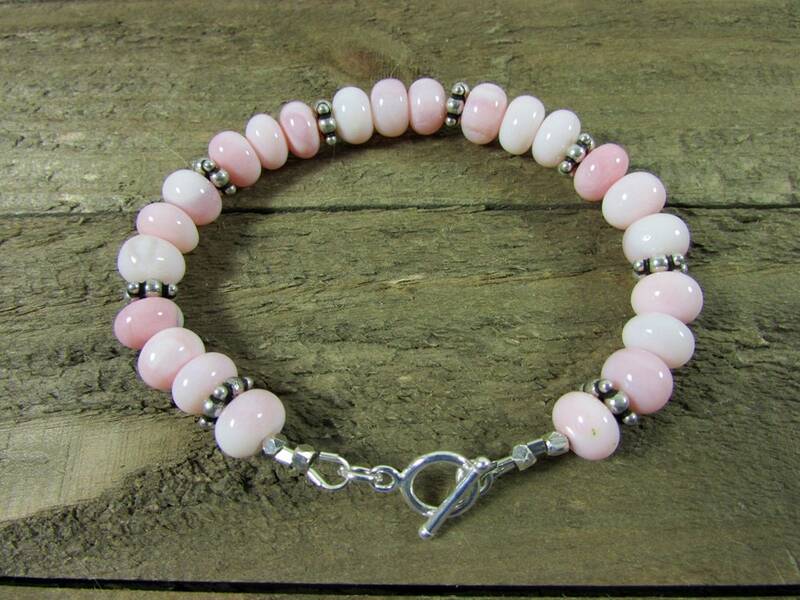 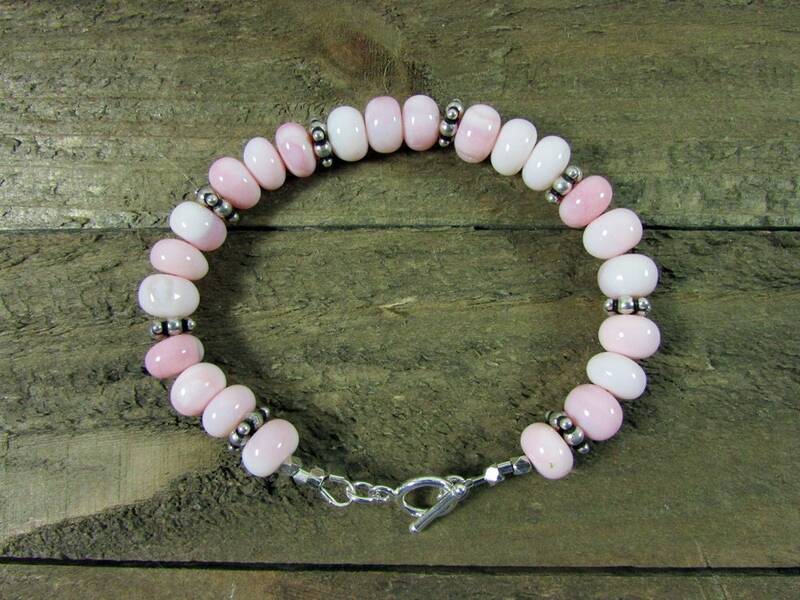 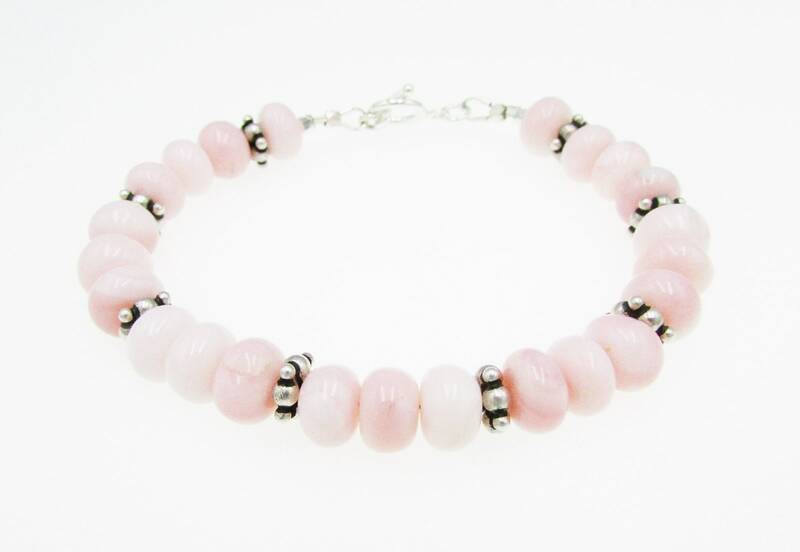 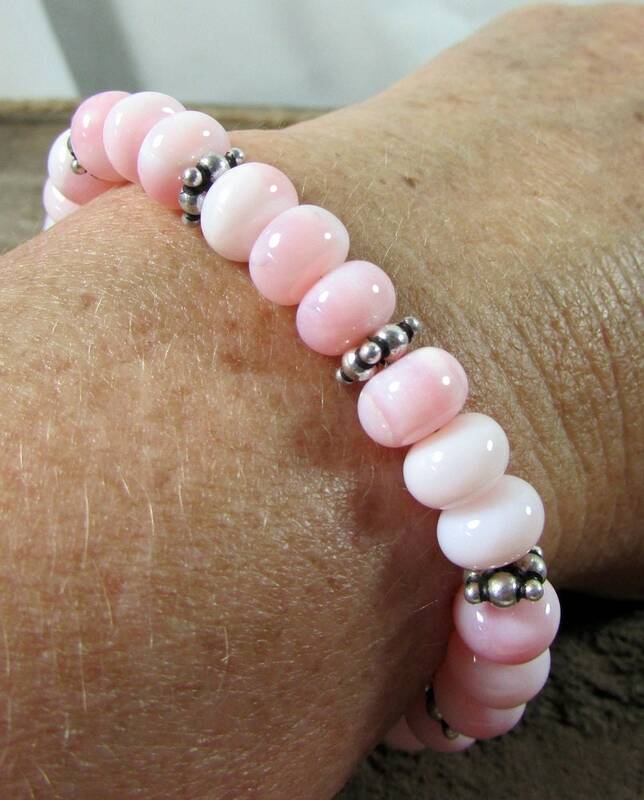 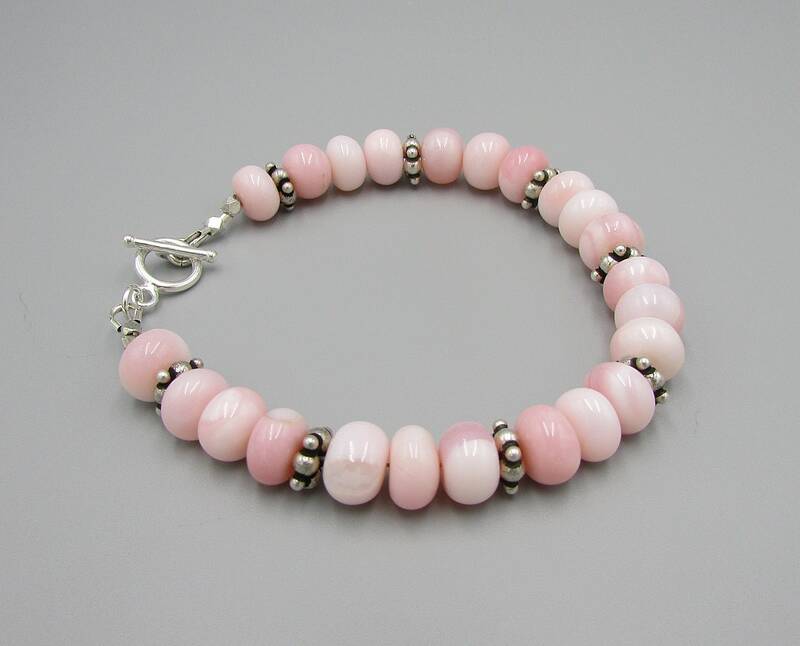 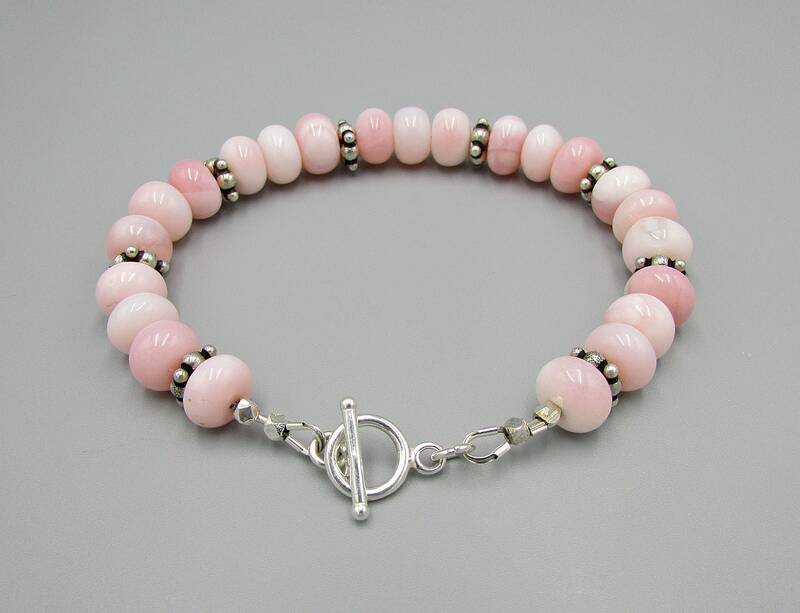 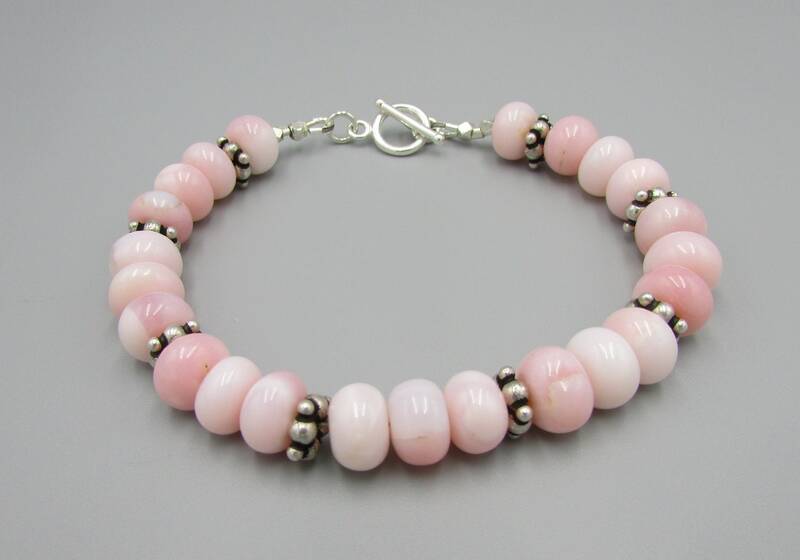 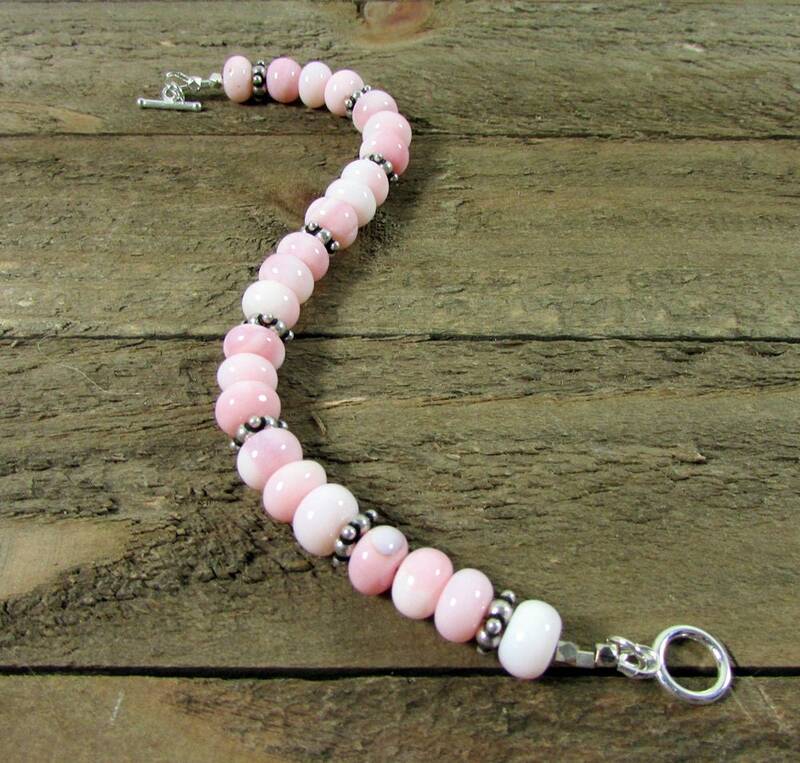 This lovely pink opal bracelet is created with 8mm peruvian opal. 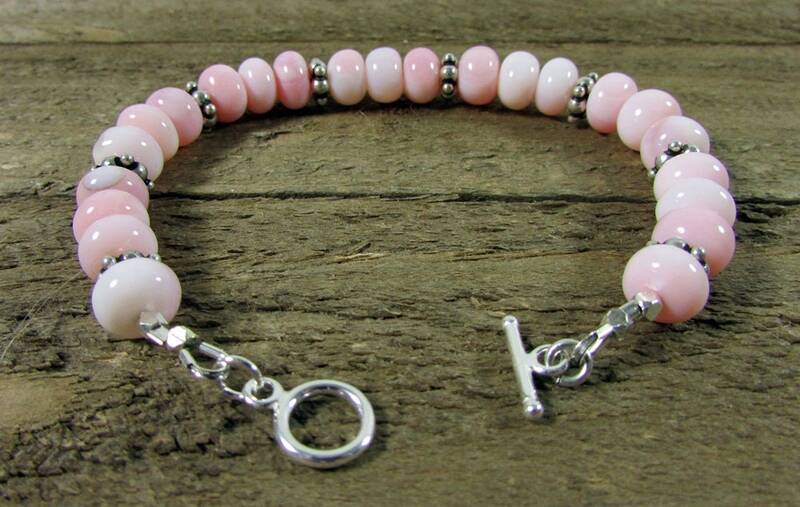 I've added 7mm sterling silver antique silver spacers and finished with a sterling toggle. 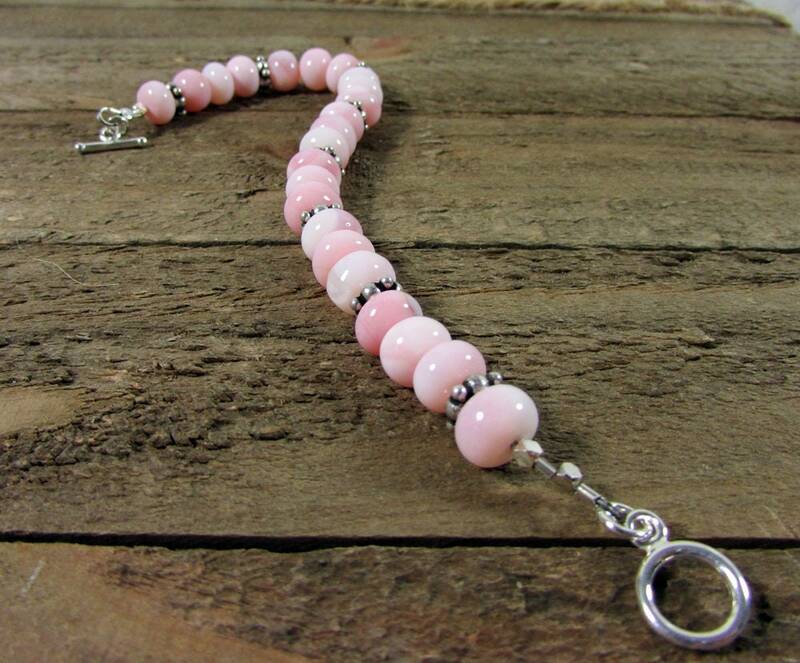 Length is 7 1/2 inches.